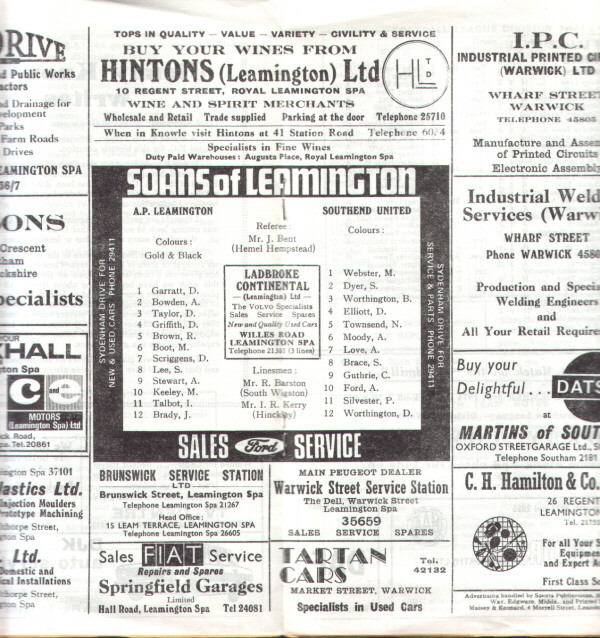 AP Leamington's first foray into the first round proper of the FA Cup. A crowd of 3000 saw them play against 3rd Division Southend - a team they faced several times in the competition during the 70s. At the time AP were third bottom in the Southern League North, Southend were in the top half of their Division. 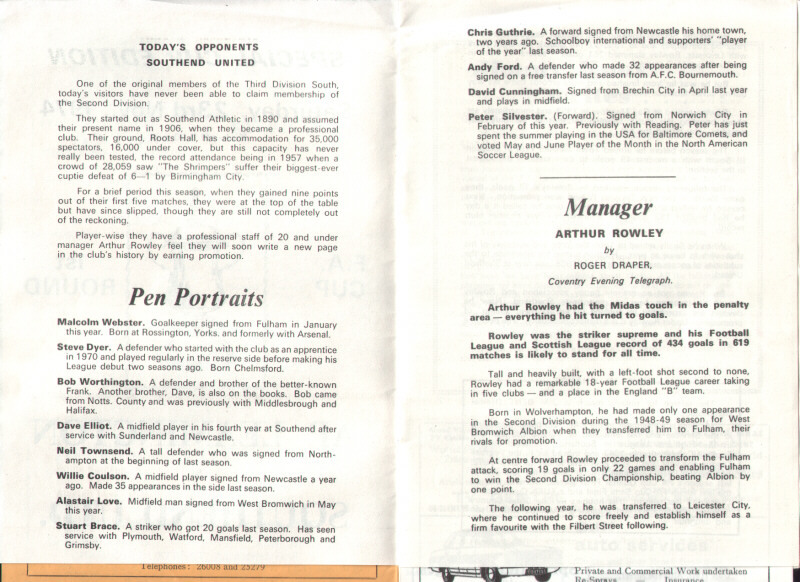 Apart from the scans below the programme also has a foreward by manager Jimmy Knox, a spotlight on Mick Keeley and "Know the rules: The Ball". It cost 5p.